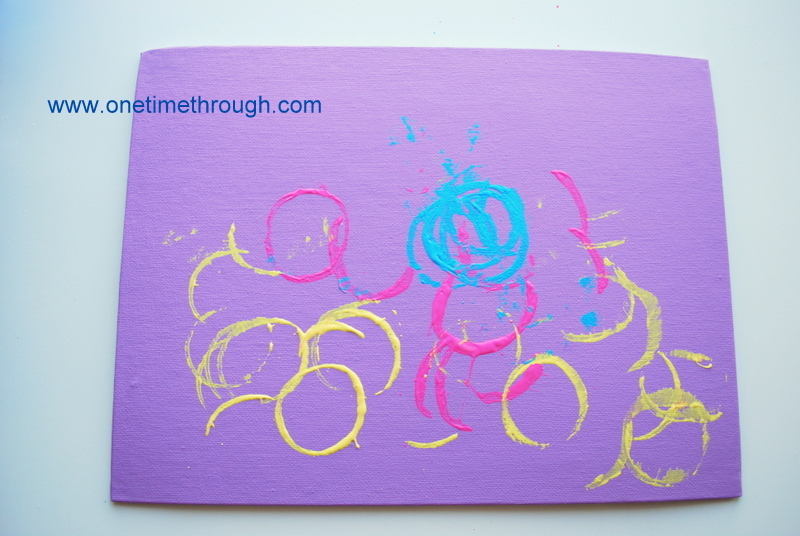 Here is a cute Easter art idea if your kiddo would like to make something for family or friends. 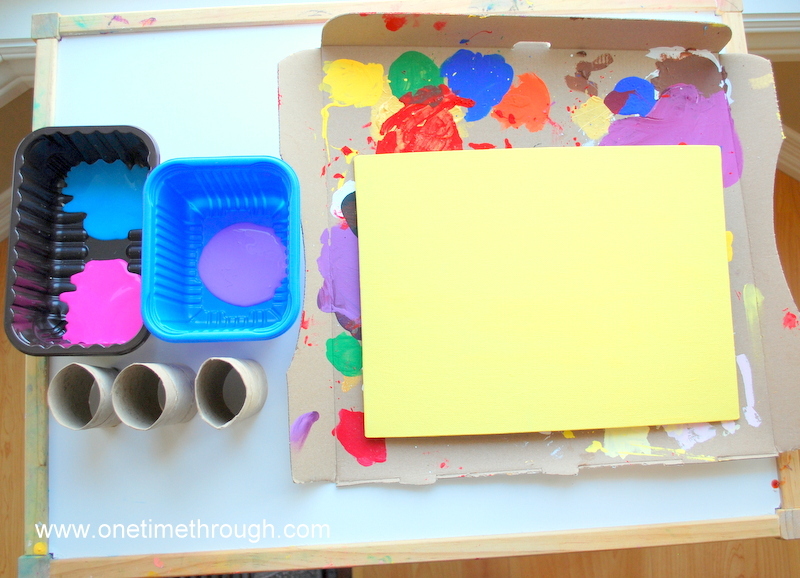 All you need is Spring coloured paint, paper or a canvas, and a few toilet paper rolls. Definitely time to do this before the weekend! Pour a few colours of paint into paint trays. Slightly press the sides of a few toilet paper rolls so they look egg-shaped. Have one roll for each colour of paint. 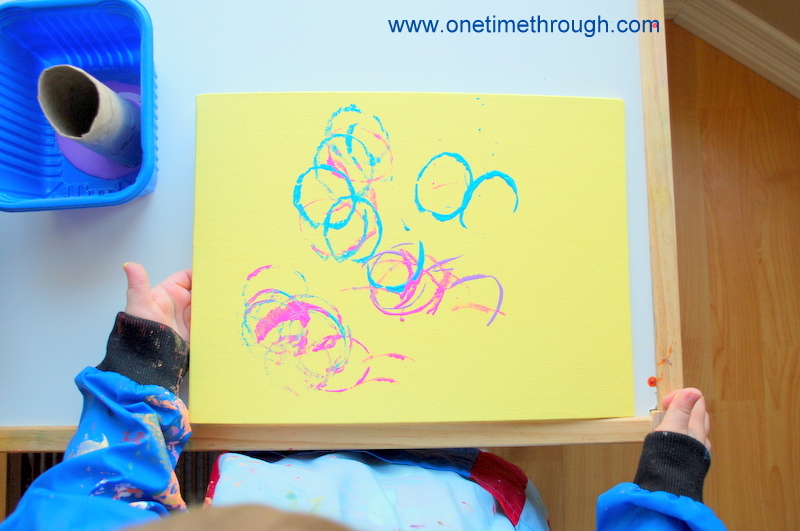 If you are giving your child a canvas and they would like a coloured background, you can apply a first coat of paint before your child starts printing. 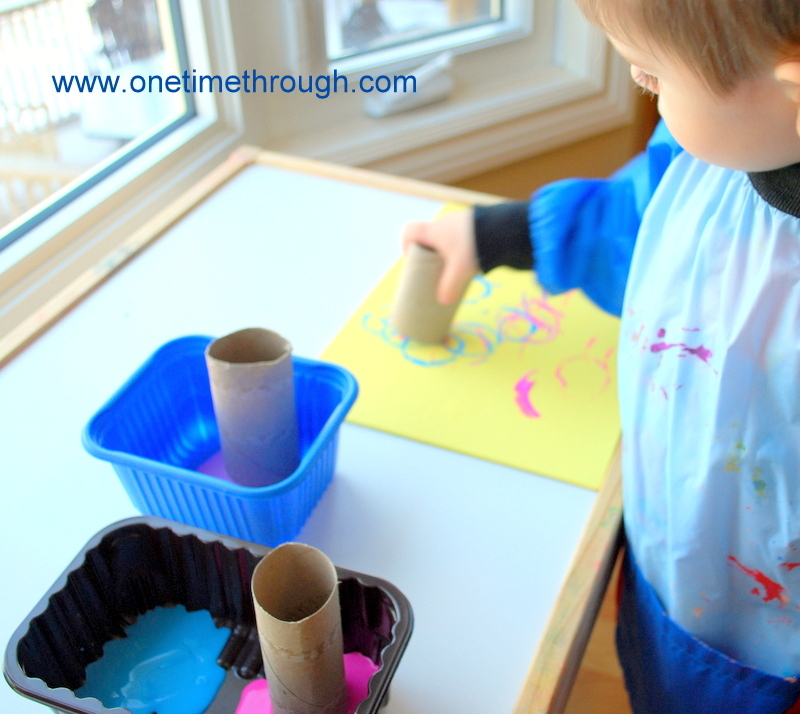 Show your child how to dip each toilet paper roll into a colour and then press it onto the paper or canvas. That’s pretty much it!!! See what your child creates! I think Onetime enjoyed the process of this as much as he enjoys giving family and friends his homemade creations! Here is another version – with a darker background. A totally different look. Oh, and remember to have your child “sign” their name at the bottom of their art. We also wrote special Easter messages on the backs of our canvases. I’d LOVE to hear what you think about either the painting or the Easter Egg Hunt!!! Please leave a comment below! Me too segmation! I think I prefer my son’s art sometimes to my own! Thanks for checking out our site!